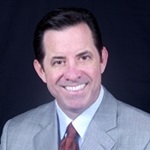 Mike has been providing sound financial strategies to his clients for over twenty-five years. He developed his interest in Disability Income in the early nineties and began to narrow his focus to help clients in an area that he is passionate about. Mike's work ethic and desire to serve has led him to receive many professional awards and honors, including qualifying for Guardian's Executive Club in 2011, MDRT Court of the Table every year since 2011, membership as a life and qualifying member of the Million Dollar Round Table and qualifying for Guardian’s Leaders Club 17 times since 2000. Mike began his career with The Guardian Life Insurance Company of America in 1999 following a four-year tenure with Principal Life where he finished second nationally in disability sales in 1997 and 1998. Upon moving to Guardian, Mike continued to develop strategies to help his clients reach financial security as efficiently and effectively as possible, specializing in working with dentists and physicians primarily in the area of disability. In his tenure with the Guardian, he has been ranked in the top ten nationally in annual disability production eleven times, been a member of Guardian's Inner Circle every year since 2001, as well as achieving Centurion Club 10 times, is a member of Guardian Berkshire Circle of Excellence (their hall of fame) and is one of five original members of Guardian's Platinum Inner Circle. He has achieved this distinctive honor four times since its inception. Since joining Peachtree Planning in 2004, Mike has served as Vice-President (2006 to present) and has led the firm in disability production every year and in lives 12 of the 14 years. A passionate speaker, Mike has had the opportunity to teach, motivate and inspire as a main platform speaker at several of Guardian's national disability meetings, as well as being an approved banquet speaker for The Gideons International (a Christian men's organization). Mike also participates as a “ropeholder” as a part of DownLine Ministries based in Memphis, Tennessee, a young and exciting organization that teaches Biblical truths as well as teaching and encouraging discipleship and disciple making in the model of Jesus Christ. Mike lives in Quitman with his wife Renee. Active in his community, Mike is a member of the Clarke County Gideons, where he has served as President. He currently serves as Church Assignment Chairman. He is a member of the First Baptist Church where he serves as an adult Sunday School teacher. In his leisure, he enjoys weight lifting and running, reading and spending time with his family that includes his two sons, Michael and Bradley, Michael's wife Kristin, and his grandchildren, Benson and Lucy. His office is located at 601 Betty Circle, Quitman, Mississippi, 39355.